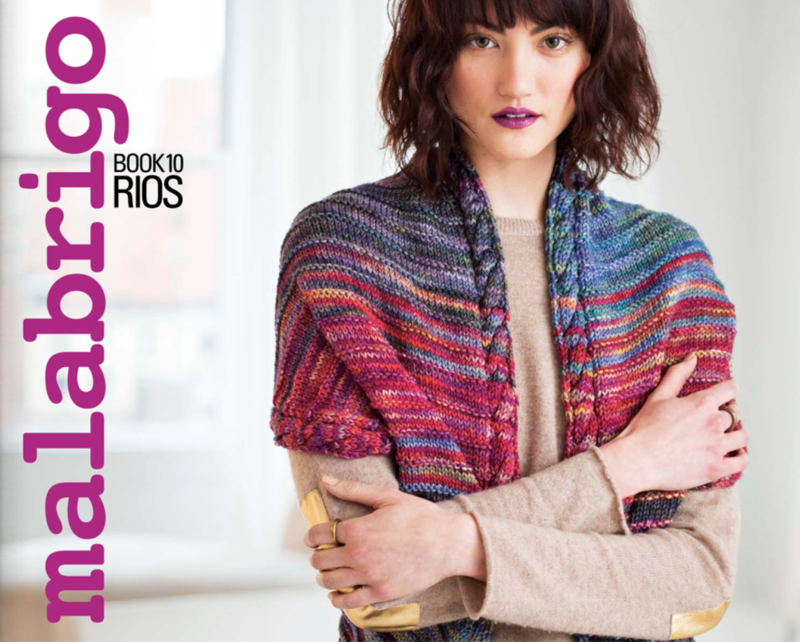 Malabrigo Book 10 offers 14 vibrant patterns knit with Rios—a worsted weight, 100% merino yarn that's hand-dyed in stunning colors! Patterns include cardigans, cowls, pullovers, shawls and mitts. Malabrigo Book 5 is no longer available.